It’s crazy to think that we are already in the month of November. Time surely does fly when you are having a good time! During the week of October 24th, all of the students had the opportunity to participate in our Halloween Costume Extravaganza. I am happy to say this year we had the largest number of students donning their spooky, pretty, and hilarious outfits. In honor of our Hollywood recital theme for 2017, I dressed up as some of my favorite movie characters. Between “The Great Gatsby” and “Pirates of the Caribbean” I’d say I truly outdid myself. The recognition, however, truly goes to my kiddos. I saw so many awesome costumes this year that it was hard to pick favorites! The best part was just that they chose to dress up! Aside from dressing a bit differently for class, I made it a point to include some fun activities and games – some new and some oldies! In the Pre-K classes we practiced our bourre’s and plie’s on t he spiderweb to collect my friendly black rats. The ballet classes worked on their pantomime skills to create a short routine that re-told their own written story using turns, jumps, and pedestrian movements. 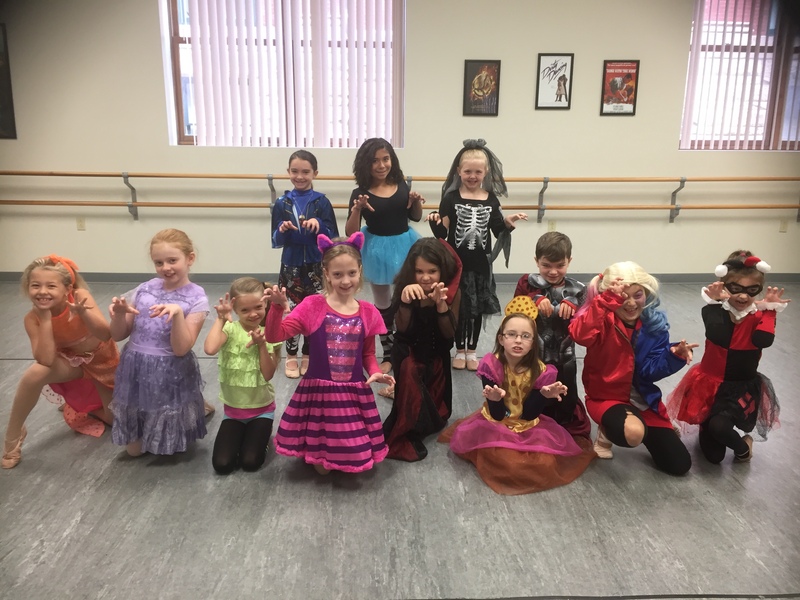 In jazz, we learned some fun routines to our favorite Halloween tunes and played “Dracula Says” in which I attempted to speak with a Transylvanian tongue that probably sounded more like a random blend of several accents. 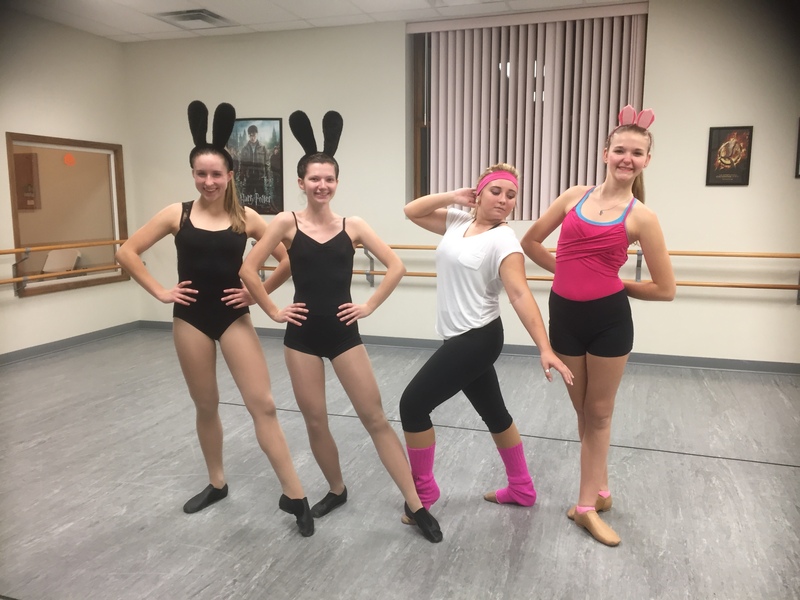 Tap students took on the ever-popular “Ghost Challenge” where they placed a Kleenex on their heads and had to keep it there while performing different across-the-floor movements. Trust me when I say they LOVED when I made them practice their turns 😉 Contemporary classes created gestural hand and body movements that re-told the story of a creepy witch who turns children into little toads. All in all it was a fun week and I think it made us all excited for our upcoming annual Costume and Music Reveal Week where we talk about another type of costume: RECITAL COSTUMES! Stay tuned for the B-Hive’s reveal of the Recital 2017 in the next blog post!